The following can be attributed to SJSU Provost and Vice President for Academic Affairs Ellen Junn. With summer drawing to a close, we would like to provide everyone with an update on the SJSU/Udacity partnership. SJSU Plus began in January with just under 300 students in three courses. In June, we added two more courses, with 2,091 students enrolling in all five classes. What do these courses have in common? All are entry-level classes most students need to graduate. This matches the project’s goal, which is to provide high-quality, low-cost college courses for credit to everyone. SJSU and Udacity learned quite a bit over the past six months. The spring pilot study funded by the National Science Foundation has been published. San Jose State has also posted the following document: SJSU Plus Grade Distribution and Historical Comparison. We would like to share some lessons learned. Learning by doing works. Online video allows us to stop every few minutes and offer students the opportunity to try what they’ve learned with an online exercise. Instructors have found this so effective that some are incorporating SJSU Plus materials into their campus-based courses. Student interaction remains strong. Does online learning stifle conversation? We found the opposite. Students are connecting with each other, instructors and instructional assistants through every means available: text, email, phone calls, chats and meetings. Students need help preparing for class. With SJSU Plus reaching well beyond the SJSU campus, we are enrolling a growing number of students who are unfamiliar with the demands of college courses. This summer, 89 percent of our SJSU Plus students were not California State University students. So SJSU Plus now offers orientation in various forms in all five courses. Students need help keeping up. Everyone needs a little encouragement to stay on track. So we’ve added tools that help students gauge their progress and we’re checking in with individual students more often. We need to communicate better with students. Although SJSU and Udacity try to be as clear as possible with our online instruction, we know we can do better. Student feedback has been immensely helpful in refining SJSU Plus materials. We’re also sending less email and more messages while students are “in class” online. We’re still analyzing summer results. As you know, it can take a while to double check the numbers and understand cause and effect. But SJSU and Udacity are encouraged by improvements in student performance across the board. The following chart shows the percentage of students who earned a C or better. The overall retention rate dropped to 60 percent this summer, compared with 83 percent this spring, reflecting SJSU’s decision to be more flexible when students signaled to instructors that they needed to drop the course. Over the summer, there were many comparisons made between our SJSU Plus and face-to-face courses. What many people failed to realize is this was not an apples-to-apples comparison. On campus, we have students who are well acquainted with the rigor of college-level work. With SJSU Plus, most students are just beginning or resuming their college careers. Also, the SJSU students enrolled in the SJSU Plus math courses this past spring failed the campus-based versions once before. Normally, these students would have been required to return to community college. And that goes right back to our mission of increasing access. A 30 percent pass rate does sound low, until you stop and think that most of these students would not otherwise have had access to the course at all. Here’s where we see things going in the future. 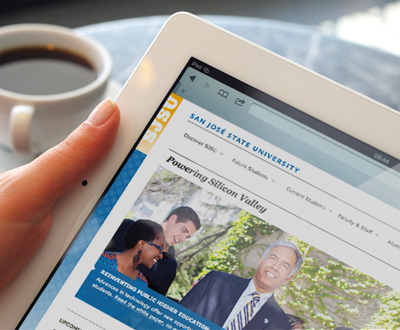 After taking a breather this fall to set the stage for student success in the future, we will resume offering SJSU Plus courses in January 2014. One major question we need to address is how to better sync our courses with our students’ busy schedules. Many students have asked for greater flexibility in pacing, enabling them to speed up or slow down outside the confines of a conventional semester schedule. Customized scheduling is unprecedented at SJSU, but we would like to explore this option. Posted by National Journal April 25, 2013. Three times a week, 15 weeks a semester, you can expect to see Sandra DeSousa teaching a room of 150 to 250 students the math they should have learned in high school. The adjunct professor at San Jose State University has another 100 students under her charge this spring, but she rarely sees them face-to-face. In January, the California university entered into a partnership with Udacity, a Palo Alto-based company that specializes in providing free online courses, to develop entry-level classes in mathematics. Any student, not only those enrolled at San Jose State, can take one of the courses for academic credit. The university has its own separate online offerings, but a three-unit course can cost $1,050. The programs developed with Udacity were priced at $150. What’s happening at 30,000-student San Jose State, the oldest public university in the West, reflects the pressures facing higher education across the country. Like other state-run schools, it is expected to provide access to as many students as possible. But in the wake of the Great Recession, taxpayers and tuition-payers are struggling to foot the bill. Deficit-ridden California has cut spending per student on higher education almost 30 percent since 2008, according to the Center on Budget and Policy Priorities, and tuition at the state’s public four-year colleges has risen 72 percent. Not surprisingly, students have found it ever-harder to obtain the diploma that’s become almost a requirement for jobs that assure a middle-class life. Education reformers see a remedy in Internet-based tools, which they say can help more students earn college degrees at a lower cost to themselves, their families, and the government. California legislators, hoping to hurry the process, are considering legislation that would require public colleges and universities to give credit for faculty-approved online courses. Those could include some of Uda-city’s free offerings. Online education isn’t new. But the latest technological wave could shake up traditional modes of instruction—on-screen and off—and change the way brick-and-mortar universities operate. “I really do feel like this is going to erupt in a way that is helpful to students,” said Michelle Rhee-Weise, a senior research fellow in education at the Innosight Institute, a nonpartisan think tank. San Jose State’s partnership with Udacity could be the first tremor. San Jose State has already complemented its standard offerings with Internet-based courses that on-campus students can take for credit and with degrees that can be earned entirely online, ranging from a master’s in public health to a graduate certificate in online business analytics. More than 90 percent of public colleges already offered online courses a decade ago, according to the Babson Survey Research Group. But enrollment has soared. By 2011, 32 percent of students enrolled in a degree-granting institution were taking at least one course online. Multiple factors are driving this shift. For starters, technology has enabled high-quality video and interactive software. Another major motivator is cost. During the past decade, the price of an undergraduate education (tuition, room, and board) leaped by 31 percent at private schools and by 42 percent at public institutions, according to federal-government figures. Seventy percent more students took out loans, the Federal Reserve Bank of New York found, borrowing an average of 70 percent more money. Even at public institutions, historically able to offer an affordable education, tuition has risen uncomfortably high as state and local funding has shrunk by 21 percent per pupil over the past 10 years. State governments see online programs as something of a safety valve, allowing them to serve more students without raising taxes, said Michael McPherson, president of the Chicago-based Spencer Foundation, which finances education research. The potential for savings prompted a group of governors in the late 1990s to create the Western Governors University, an all-online institution that now serves 38,000 students, mainly working adults looking to advance their careers. Cash-strapped schools have used online degree programs to subsidize on-campus student services or to expand the capacity of oversubscribed classes. But until recently, online education lacked the academic prestige or a critical mass of innovators to prove that its tools are more than just a safety valve and that they can fundamentally improve the way colleges teach. The so-called MOOCs offered by elite colleges have attracted a lot of attention, but they won’t change higher education unless institutions use them in classes or accept them for credit. San Jose State is trying to do both. Last fall, 83 entry-level students in electrical engineering headed home after class not to read a textbook but to watch “Circuits and Electronics: Introduction to the Lumped Circuit Abstraction,” a lecture course taught by MIT professor Anant Agarwal, who founded edX, MIT’s venture with Harvard to offer online education. Students spent their class time working in small groups, with the instructor and teaching assistant on hand to answer questions. Ninety percent of the students passed the class, compared with as few as 60 percent in past semesters. By emphasizing collaboration and freeing up class time for critical thinking, proponents say, these “flipped classes” prepare students better for 21st-century jobs. EdX and San Jose State recently announced a plan to expand the “flipped” model of Agarwal’s class to as many as 11 other California State University campuses, and the university also expects to offer other blended edX courses. While the edX collaboration hopes to improve students’ performance, the Udacity partnership focuses on reducing costs while maintaining the quality of education. The courses, which San Jose State professors helped to develop, interweave video, activities, and tests, and use social media to connect students with faculty. “A student told me that it was like sitting and working with a private tutor, ” said Susan McClory, the university’s director of developmental studies. Through the first midterms, Udacity reports, online students taking algebra and statistics performed as well overall as their off-line peers. At Arizona State University, senior lecturer Irene Bloom has had more success than DeSousa using Web-based technology to help students in remedial math. Her students brush up on their skills with Knewton Math Readiness, an adaptive-learning course that uses complex algorithms to individualize education. As students interact with activities and quizzes, they demonstrate which concepts they’ve mastered and what they need to learn next. They proceed at their own pace, not by following a predetermined syllabus. When Bloom’s class meets—in a computer lab, twice a week—she roams with an iPad, seeking out students whom her online “dashboard” tells her are struggling. “Rather than lecturing to 60 students about something that five students need, I’m lecturing to the five students who need it,” she says. This year, 2,000 of Arizona State’s 72,000 students worked their way through the Knewton course. Pass rates rose from 64 percent to 75 percent, withdrawal rates dropped in half, and some students moved through the material so fast they completed the course a month early, according to Knewton. The university, impressed with the results, is developing Knewton-powered entry-level courses in psychology, science, and economics. Arizona State, like San Jose State, offers online courses and degree programs of its own. But ASU is thinking about limiting the number of online classes that on-campus students can take for credit. “One thing we’ve found is that online classes actually require more maturity and discipline than face-to-face classes,” said Philip Regier, Arizona State’s dean of online and extended education. Older students do fine in online courses, but 18-to-23-year-olds often struggle. Arizona State is betting that hybrid learning will help students pass the general-education classes they need to graduate. One thing these early-adopting universities have learned, however, is that hybrid learning doesn’t necessarily save money—not least because new technologies are expensive to implement. Entry-level courses are easy to put online because they cover basic material, where the answers tend to be right or wrong. But the equivalent on-campus lecture classes are also the cheapest courses for colleges to produce. At some community colleges, online degree programs aren’t any cheaper than in-person courses, according to Rebecca J. Griffiths, program director of online learning at Ithaka S+R, a consultancy for education technology. Besides, there are limits to what any computer program, even one as elaborate as Knewton’s, can teach. “The two hardest things for students to do are, one, learn what a good paper topic is or what a good research topic is, and, second, to actually write a coherent paper,” said Ezekiel Emanuel, a professor of health care management at the University of Pennsylvania and a big fan of MOOCs. Online tutors can help students with their writing, but someone still needs to read and grade it. When DeSousa and Bloom teach Web-based classes, they act more as coaches than as lecturers, but their human touch still counts. New technologies become disruptive when they enter the traditional classroom—and they get colleges thinking about whether the existing model will suffice. In many ways, online education isn’t that different from old-fashioned instruction: Algebra is still algebra, no matter how you do your scratch work. But online tools allow educators to personalize learning in ways that weren’t possible before. This is good news for a system of higher education that’s straining to provide opportunity to everyone who wants to learn. Access to education means being able to pay for it, and it means being able to succeed academically in a college setting. “You can’t look at the cost question, the attainment question, the quality question in isolation,” said Candace Thille, director of the Open Learning Initiative at Carnegie Mellon University. Different technologies will serve different students best, she said, just as no single brick-and-mortar university is right for everyone. Top elected and higher education officials joined Silicon Valley’s leading entrepreneurs at the Dr. Martin Luther King Jr. Library on Jan. 15 for the advent of a groundbreaking partnership aimed at bridging public higher education with a promising Silicon Valley startup. Governor Edmund G. Brown Jr. spoke at the event about the long-term potential for San Jose State Plus before SJSU President Mohammad Qayoumi and Udacity Inc. CEO and Co-Founder Sebastian Thrun signed the official agreement. In his first public appearance at SJSU, recently appointed California State University Chancellor Timothy P. White provided a systemwide perspective on the announcement and online education. Silicon Valley entrepreneur Marc Andreessen attended to lend his support. SJSU community members joined the media and officials to participate in a rigorous question and answer session including Brown, Qayoumi, Thrun, White and SJSU Provost and Vice President for Academic Affairs Ellen Junn. Read the full news release about today’s announcement. View a recording of the news conference and join the conversation about #SJSUPlus on Twitter. This marks the first time that a broad and diverse range of students, not just matriculated students, will have access to online college classes for credit from an accredited university at a very affordable price of $150 per course. 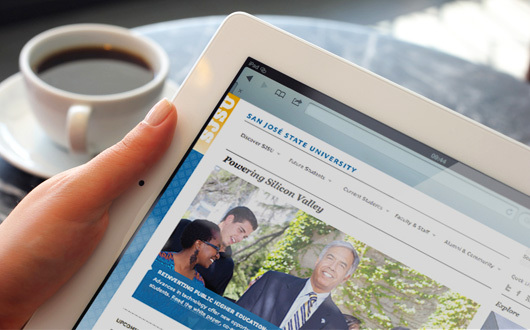 SAN JOSE, CA – San Jose State University and Silicon Valley-based online education startup Udacity Inc. have reached an agreement to develop a pilot program to be called San Jose State Plus, offering college classes for credit to SJSU and non-SJSU students beginning in January 2013. Registration begins today. View video and photos from a news conference held Jan. 15. The partnership will combine the knowledge and expertise of SJSU faculty members with Udacity’s cutting-edge online platform and pedagogy to work together toward helping a greater percentage of students excel in their chosen majors. This pilot purposely focuses on two math classes and one statistics class that nearly every student must complete to succeed in college. “As the public university that sends 8,000 graduates annually into the Silicon Valley workforce, San Jose State University must and will take a leading role in leveraging technology to transform higher ed with the goal of making a college degree affordable and accessible to all,” said SJSU President Mohammad Qayoumi. The passage of Proposition 30 signaled renewed voter support for public higher education in California. But limited public resources, coupled with an ever growing need for college graduates to fuel the state’s tech economy, means educators must seek the most effective means to expand access reflecting the California Master Plan for Higher Education’s commitment to a college education for all who qualify. This marks the first time that a broad and diverse range of students, not just matriculated students, will have access to online college classes for credit from an accredited university at a very affordable price of $150 per course, about the same as a course at the California Community Colleges. 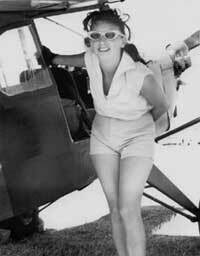 The pilot’s target population includes underserved groups such as high school students who will earn college credit, waitlisted students at California Community Colleges who would otherwise face out-of-state or private options, and members of the armed forces and veterans. The National Science Foundation will provide funding to support the assessment of this groundbreaking effort. Intermediate Algebra, College Algebra and Elementary Statistics are the three courses to be offered in this pilot. SJSU faculty members working with Udacity designed and created all three classes to include engaging video instruction interspersed with quizzes and other interactive elements, as well as course mentors supporting students throughout the course. “This pilot is possible because of our extraordinary and dedicated faculty members who care deeply about student learning and success, and their willingness to explore new ways to teach students, especially traditionally underserved students who aspire to college degrees and beyond,” said SJSU Provost and Vice President for Academic Affairs Ellen Junn. “Serving Silicon Valley, one of the most vibrant centers of innovation in the nation, San Jose State is home to instructors who are innovators, stepping up to team with Udacity,” Provost Junn continued. “Together, we will explore and evaluate, in a systematic way, how we can provide a high-quality, interactive and exemplary online learning experience for all students that is affordable, lends greater access and ensures student success. SJSU faculty members will create and teach the courses in coordination with Udacity, and will be the instructors of record throughout the term. SJSU faculty members will carry the sole authority and responsibility for assessing student learning. Each course will be enriched with support provided by Udacity staff members and course mentors, who will track, encourage and monitor students. Three critical entry-level courses with high failure rates were selected for this pilot. Revising these key classes to improve student interest, engagement, motivation and learning should result in multiple positive outcomes for later academic success. In this pilot, student enrollment will be limited to 100 students per course, with 50 SJSU students and 50 non-SJSU students. Priority enrollment will be given to high school students, community college students, members of the armed forces, veterans and waitlisted SJSU students. All students will earn college credit. This pilot will include the formal collection and analysis of student learning data and faculty feedback to assess progress and mastery of course learning objectives and outcomes. Faculty members will be involved in this assessment by an external firm. There will be no textbooks required for any of the courses as the content will be embedded and self-contained online. Faculty members may recommend optional open-source or free textbooks for students who would like additional outside materials. Human mentoring will be available via chat rooms, a helpline, instructor-facilitated peer meetings and outreach when a student is falling behind and needs more encouragement and support. Exams will be proctored online, with no campus visits required. Student identity authentication and compliance with all applicable privacy laws will be ensured and protected. Accessibility and compliance with all applicable laws for students with disabilities will be addressed. 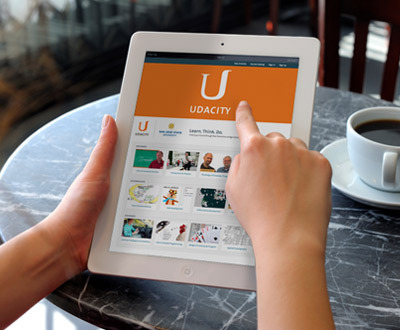 Udacity is a social venture that seeks to bring accessible, engaging, and effective higher education to the world. We believe that higher education is a basic human right, and we seek to empower our students to develop their skills in order to advance their education and careers. Udacity has been at the forefront of developing new online pedagogy that bridges education and employable skills with courses in Computer Science, Mathematics, Programming, General Sciences, and Entrepreneurship at www.Udacity.com. What is SJSU Plus and why is SJSU involved in this effort? SJSU is partnering with Udacity in a groundbreaking online education venture (known as SJSU Plus) to be among the first university to pilot a new form of interactive online courses to formally test if this modality enhances student learning and might improve greater access to higher learning through the use of educational technology. This partnership seeks to provide online, accessible, affordable, engaging, and highly effective courses created by our own SJSU faculty that would be available for credit at a very affordable price for all students, including under-served populations of students. Should this initial pilot of three online, entry-level courses be successful, it also might be part of an innovative solution to address the increasing demand for higher education needs in California, particularly in STEM fields. Why was Udacity chosen as a partner? Udacity was an early pioneer in massive open online courses (MOOC) and offers highly-engaging video content mixed with frequent interactive quizzes and a contextual “learn by doing” approach. Their newest approach also integrates more human interaction and connection by utilizing forums and mentors. Why did Udacity decide to partner with San Jose State University? Udacity believes that as Silicon Valley’s largest public university, San Jose State University has been particularly progressive in its approach to embracing new ways of teaching. Udacity was excited to collaborate with SJSU as part of a campaign led by President Qayoumi, who argues that higher educational institutions urgently need new approaches to teaching and assessing learning that are personalized, collaborative, engaging and that relate to real-world, 21st-century problems. Who else is involved in this effort? There are other external organizations that are interested in this pilot for a variety of reasons. The National Science Foundation, through its Transforming Undergraduate Education in Science program, is funding our pilot to evaluate student outcomes in these pilot classes. The American Council on Education (ACE) will be evaluating these courses, as well as Udacity’s Computer Science 101 course, in order to recommend them for credit among their nearly 2,000 member institutions. Additionally, through a grant from the Gates Foundation, ACE will be conducting research with University of Illinois, Springfield, on what student demographic groups are best served by and benefit from access to open online courses. Are our faculty members teaching the courses? Yes, our SJSU faculty members are creating the three pilot courses in coordination with Udacity, and they will be the sole instructor of record throughout the term. SJSU faculty members will carry the sole authority and responsibility for assessing student learning. SJSU professors will lead the development of the course curriculum and instruction. Udacity provides the platform as well as support in developing course elements (e.g., videos, activities, quizzes) and consults on instructional design optimized for the online medium. Each course will be enriched with additional student support provided by Udacity staff members and course mentors, who will track, monitor and encourage students. How and why were the courses selected? How were faculty selected? For this pilot, three foundational, bottleneck, entry-level courses, often with high failure rates were selected. By revising these key, gateway classes to improve student interest, engagement, motivation and learning, SJSU hopes to garner multiple positive outcomes for student learning and future academic success. Once courses were identified, faculty were recruited by working with relevant department chairs, deans and associate deans who solicited faculty interest and willingness to work on developing these innovative online courses. What are the specific chosen courses? Developmental Math (Entry-Level Math, Algebra Review) Math 6 Course. Description: This course uses algebra to quantify and describe the world around us by exploring questions like “How many songs can fit onto your flash drive?”, or “What’s a better deal: The family size box of crackers or the regular box of crackers? By the end of the course, students will have stronger skills for modeling problems, analyzing patterns, and using algebra to arrive at conclusions. College Algebra Math 8 Course. Description: This class illustrates that math is everywhere. Students gain an in-depth understanding of algebraic principles, and learn how to use them to solve problems that they encounter in everyday life. Students learn about functions, polynomials, graphing, complex numbers, exponential and logarithmic equations, and much more, all through exploring real-world scenarios. Elementary Statistics Stats 95 Course. Description: Students learn how to organize, describe, and interpret data, enabling them to think about the information in a whole new light. The class allows students visualize data, calculate statistics that describe data, and use statistical methods to make decisions. How many students will be enrolled in SJSU Plus? In this pilot, student enrollment will be limited to 100 students per course–with 50 SJSU students and 50 non-SJSU students. Priority enrollment will be given to interested and/or waitlisted SJSU students, as well as non-SJSU students, such as high school students, community college students, and members of the armed forces or veterans. All students in our SJSU Plus pilot will earn college credit that would be transferable to our campus or any other accredited campus. How much will the courses cost for students and what services will be provided? Each SJSU Plus course will be very affordable and cost $150 for matriculated and non-matriculated students and will be offered this Spring 2013 through SJSU’s College of International and Extended Studies. This is a revised MOOC 2.0 model (as Udacity calls it), where enrolled for-credit students will receive access to SJSU professors, additional support services, proctored and authenticated online exams, and course mentors. These augmented services for students are designed to improve student connections with the professor and strengthen and support students’ learning opportunities. Furthermore, for SJSU students, the cost of these courses through CIES could be covered for eligible students under state (but not federal) financial aid. For students not interested in college credit, access to the MOOC courses will be open and free as in the original MOOC 1.0 model. Non-credit students will not receive any interaction from professors, nor receive any of the additional student support services, and of course, no college credit. Is there a revenue share to this agreement? Yes, after deducting combined SJSU and Udacity development and implementation costs, there is a revenue share agreement. Developing and offering these courses requires investments in a variety of baseline costs, such as course development and technical staff costs, instructor training and support services, as well as online proctoring, authentication and other administrative costs. In our joint collaboration, SJSU and Udacity are partners in sharing revenues after costs. What are the dates of these courses? These pilot courses will run during spring semester 2013, from Jan. 30, 2013 to mid-May 2013. Unlike other Udacity courses, are these classes more schedule-centric? Are there certain deadlines for fulfilling the course requirements? The courses for credit will follow a similar schedule as those taught on campus. However, since Udacity courses can be taken at home or on the go, students will be able to watch lectures, participate in quizzes, and engage fellow students at any time that is convenient to them throughout the day/night. Will there be any contact between faculty and students and among students? Human mentoring will be available via chat rooms, a helpline, professor-facilitated peer meetings and mentor outreach when a student is falling behind and needs more encouragement and support. How will student identities be verified during exams? Will there be an assessment of these courses? Yes, one of the major goals of this pilot is to include the formal collection and statistical analyses of both quantitative and qualitative student learning data, as well as faculty and student feedback to assess student progress and mastery of course learning objectives and outcomes. Faculty members will conduct their normal assessments and evaluation of student learning for their courses, and they also will be involved in an additional third-party assessment conducted by an external firm and funded by a NSF grant. Data and resulting reports regarding the outcomes of this pilot will be publicly available, widely disseminated and published whenever possible.